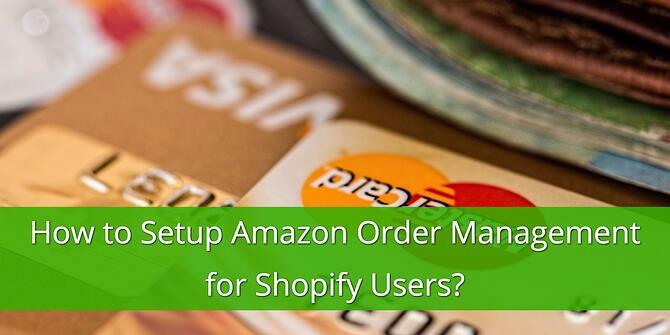 Order Management is a tool that enables Shopify merchants to sync their Amazon orders with their Shopify store. All products sold on Amazon are updated in the Shopify store continuously, so that the number of items available in Shopify is always up-to-date. 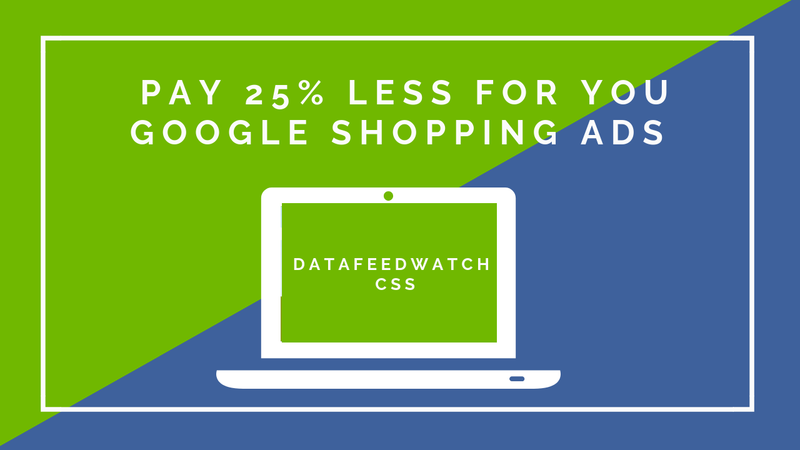 This ensures that merchants never advertise out of stock products and waste money on clicks that won’t convert. It also saves Shopify merchants time, since they no longer have to manually update Shopify when an item is sold on Amazon. 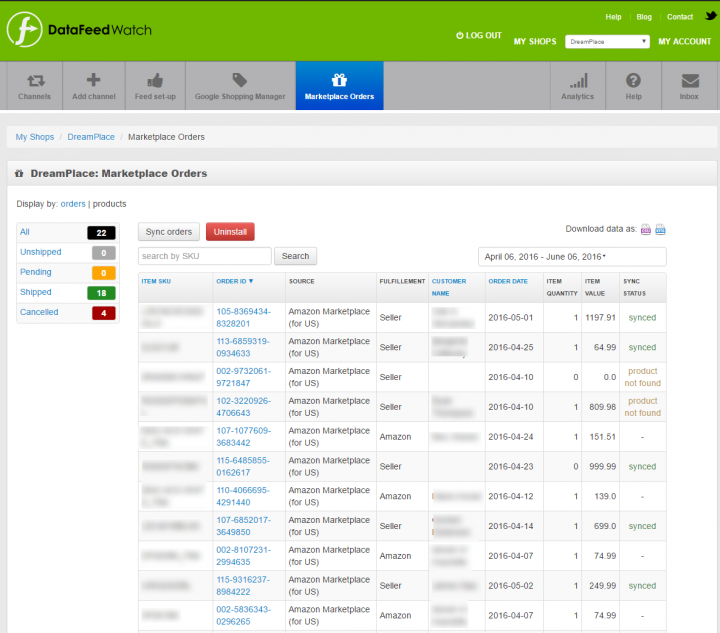 On top of that, merchants can download all order-data from DataFeedWatch. Why is Order Management so Useful? Imagine that you are a merchant who reviews and manually updates your feeds from different platforms every evening to determine how many items you’ve sold. At the start of the day, you have 5 t-shirts in stock. Throughout the course of the morning, you sell 4 of these t-shirts on Amazon. However, Shopify thinks you still have 5 t-shirts left in stock, because you have not yet manually updated your account. In the afternoon you sell a further 3 t-shirts on Amazon, and you’ve now sold 2 more t-shirts than you actually have. If you had had an Order Management tool to automatically update your stock then this problem never would have happened. 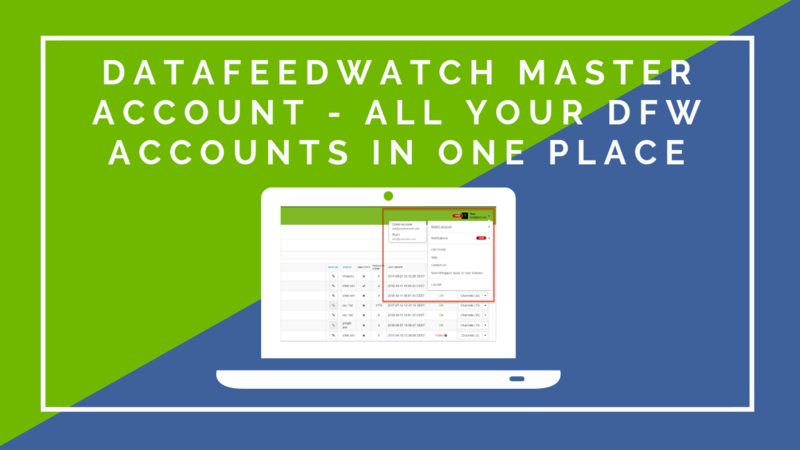 With the Order Management tool, the stock on your feeds will automatically update across Amazon and Shopify to save you the headache of accidentally under-stocking your products. How do I install Order Management? 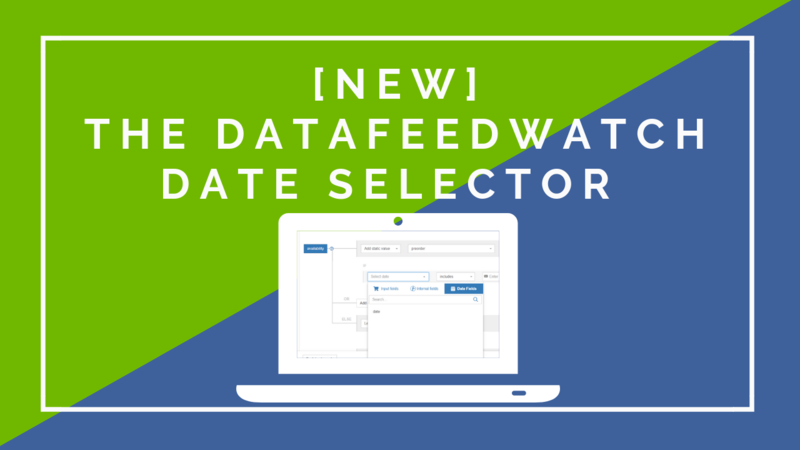 Click on the button called "Marketplace Orders" and then select the date from which you wish to begin downloading feeds. If you have previously been handling stock updates across Amazon and Shopify, select today's date; this prevents you from submitting duplicate updates. Otherwise, pick a historical date from which to begin the download. 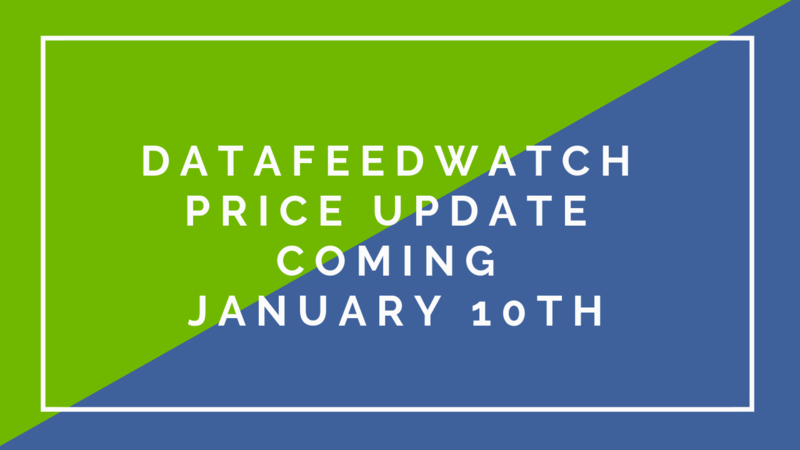 Next you must give DataFeedWatch permission to modify information about your product stock. Your orders will now begin syncing. This could take up to several minutes. How Do I use Order Management? Once the tool has been installed, clicking "Marketplace Orders" will bring you to a page that lists all of your recent orders, including order number and customer name, among other characteristics. You can view this information two different ways: by product and by order. Viewing by product allows you to see all products and their unique SKUs. Viewing by order displays a single order comprised of one or more products. 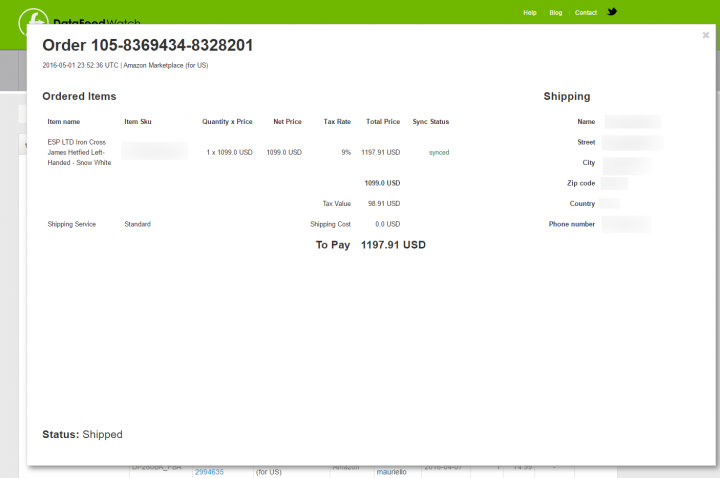 On the left hand side of the screen there is a toolbar with five buttons: All, Unshipped, Pending, Shipped, and Cancelled. These are the same as Amazon's Order Status Options. Pending orders are those for which the order has been placed but payment verification has not yet occurred. 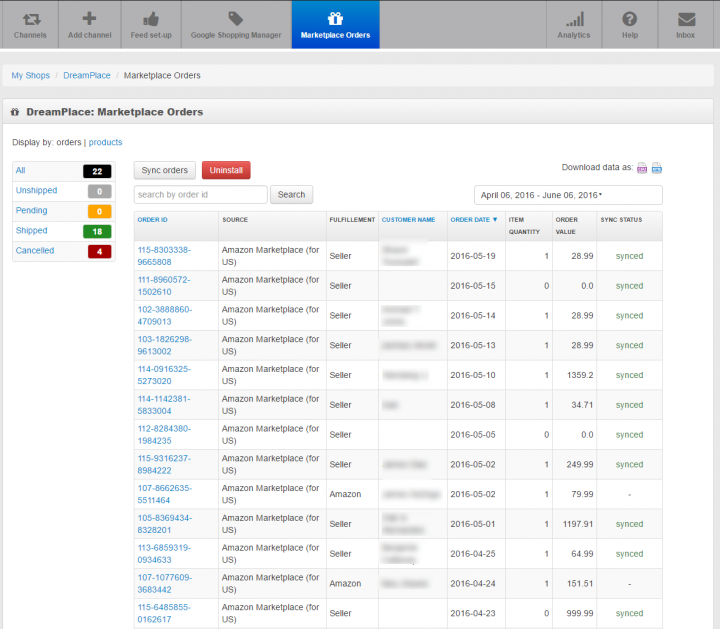 The Order Management tool will sync orders from Amazon to Shopify and update this table for your review. You will be able to keep track of all of your orders, and export to XLM if you wish to.